CLEVELAND — For centuries cathedrals have been built as the most special places of worship, a house of God that inspired awe in all those who entered under their roofs, making them feel small in the presence of the God they worship. Few spots made people feel smaller than Notre Dame Cathedral. "It was just deeply sad," said Cleveland Catholic Diocese Bishop Nelson Perez. "Sad without any other words." 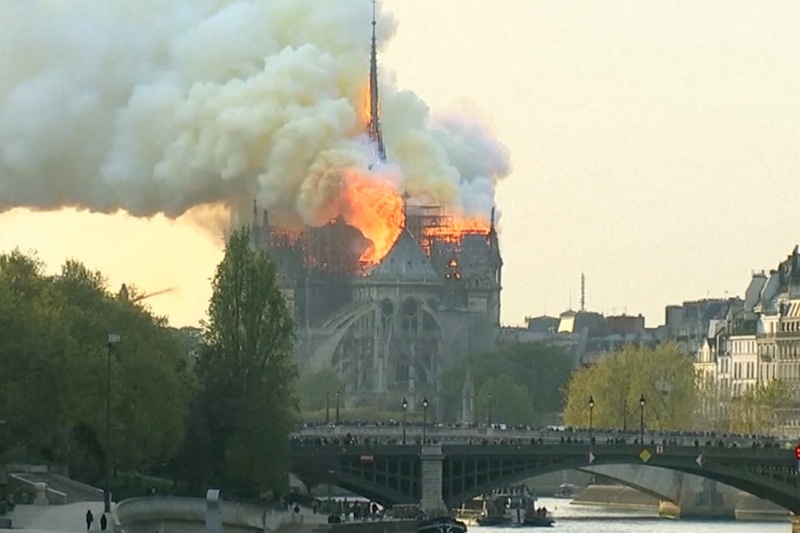 Bishop Perez said he never had the chance to visit Notre Dame but lived vicariously through the pictures friends would always send him when they made the journey to Paris prior to Monday's fire that destroyed much of the centuries old cathedral. 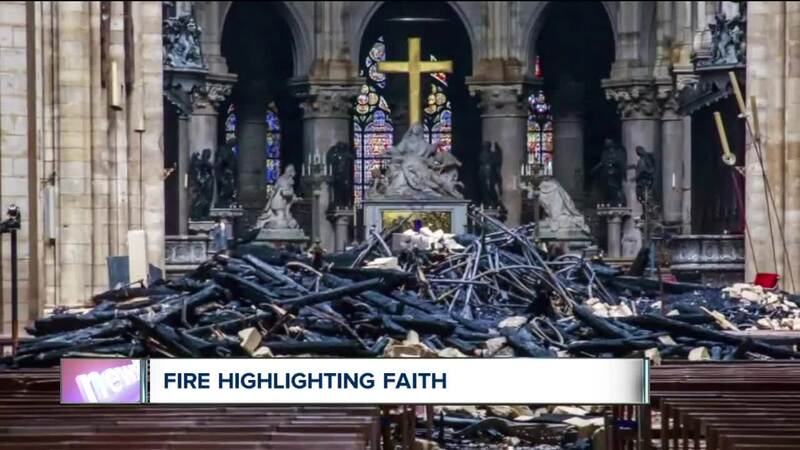 That the devastation of Notre Dame occurred during Holy Week is not lost on the Bishop. No week in the Christian calendar carries more fully the dual message of remembrance of Holy Thursday and the resurrection of Easter Sunday. "And then the story continued to unfold right," Perez said of the signs that were immediately on display outside of the safety zone set up around the cathedral. "People started gathering and kneeling and praying and singing. If that cathedral was engulfed in water it was also engulfed by people's love and people's faith." The confluence of faith and fire is something that has been on display throughout the history of religion. Certainly the Catholic Church has been under fire in a sense, Perez added, but the faithful people have gathered around the mother church as they did this week around Notre Dame. This Saturday as part of the Easter vigil churches around the world will bless fire in a sense as they bless the paschal candles. "Fire is purifying, it can be destructive as we saw but it is also life giving," he said. This week we saw how fire can destroy but we also saw how it can offer hope. "I saw an image and it was devotional candles that remained lit," Bishop Perez said. "That big fire was roaring up there and those little devotional candles were lit. It was a powerful image that said to me well part of the building was destroyed but it didn't destroy the church."